Instilling honesty, team work, adaptability, commitment and positivity in each game and practice so youth are equipped to make a difference on and off the field. 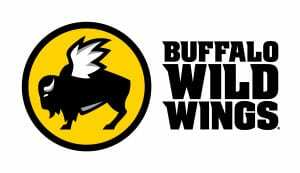 Boys & Girls Clubs of Portland Metro’s seasonal flag football, indoor soccer, and basketball leagues are made possible by a partnership with the Buffalo Wild Wings All-Star Leagues. In Leadership Leagues, youth can come together in a safe, supportive, and positive environment with volunteer coaches, score-keepers, and referees from our community. Leagues encourage each participant to develop their athletic skills. More importantly, youth learn to work together as a team and develop leadership skills that they will be able to use on and off the court. Our Basketball Leadership League takes place in the fall. Stay tuned for dates and registration for 2019. Indoor soccer takes place during the winter. Our last League wrapped up on March 15, 2019. Stay tuned for dates for next season! 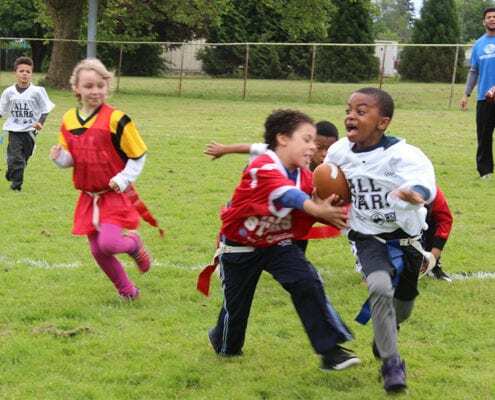 Registration for Flag Football is now open! Leadership Leagues are not possible without the support of volunteers. Currently seeking volunteers for all Club locations to assist with Leadership Leagues as coaches, refs, and scorekeepers. No previous experience required! For the safety of our youth, all volunteers must pass a background check. 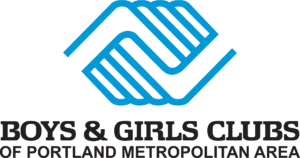 Volunteering with Boys & Girls Clubs of Portland Metro is flexible and rewarding. We are looking for volunteers who can commit to 1-4 hours a week, depending on the position. Coaches that clear our screening process and complete training will have one youth participant registration fee waived for each team they coach. If you’d like to volunteer for our Leadership Leagues, please fill out our Volunteer Interest form!